As I took a seat in the circle of chairs, I entered a welcoming space to speak my heart, bear witness and make meaning of the hurdles in my life. 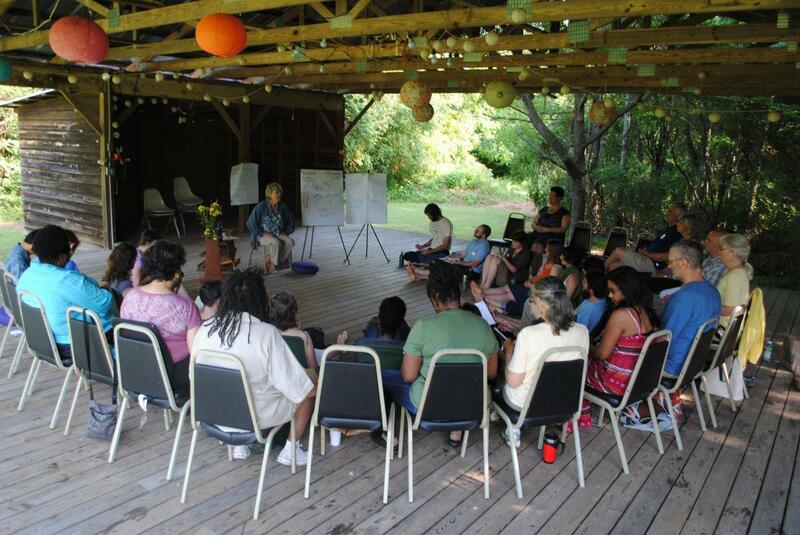 Reflecting now on the many women’s circles I’ve participated in and led, I recognize that the practice of Circle has shaped my understanding of how to build a radically democratic, inclusive community. I believe that a missing link in today’s organizing is the gift that circle process offers–a form that supports the wisdom of the collective to arise, honoring all voices as equal. With respect to women’s history month, I acknowledge feminist leaders of the 1960s and 1970s who employed consciousness-raising circles as a potent form of political action. Sharing individual stories enabled women to identify how sexism and misogyny impacted their lives while also providing a structure for support. Today’s feminist groups such as www.everydayfeminism.com offer invaluable online resources to understand the specificities and connections between all forms of oppression. But I’m hungry for some old-school consciousness raising…and perhaps you are too. Check out Spirit in Action’s Circles of Change Guide to gain practical tools for cultivating social justice with people in your neighborhood, organization or community group! We selected 10 pages from Spirit in Action’s Circles of Change Guide that we are offering to you as part of our community. This excerpt focuses on the power of circles and provides tools for creating these intentional spaces. The excerpt is rich with insights, stories and exercises that can support your community and movement building work. To download your excerpt click on the image to the right. Please do not hesitate to reach out to us at Spirit in Action if you have questions or would like a copy of the complete Circles of Change Guide. Formerly known as EMERGE, our new network of environmental leaders is now called HOME (Healing Our Movement Ecosystem). This new name highlights how this network aims to bridge conservation, environmental justice, and ecological innovation perspectives and strategies. In collaboration with Yes!, HOME just held its first national retreat for 10 diverse leaders to reflect on the opportunities for building a more cohesive environmental movement. HOME also continues to gain traction regionally through the development of Resilience Hubs in the Southeast and the West. Jodi Lasseter is the network weaver for HOME. If you are interested in learning more about HOME please contact us.